West-Mont United Soccer Association (West-Mont) and West Ham United North American Academy (West Ham) have joined into a partnership. A world-renown football club, West Ham United has produced some of the greatest talent within Europe. With this partnership, West-Mont will be given the opportunity to further enhance the development program for boys and girls. 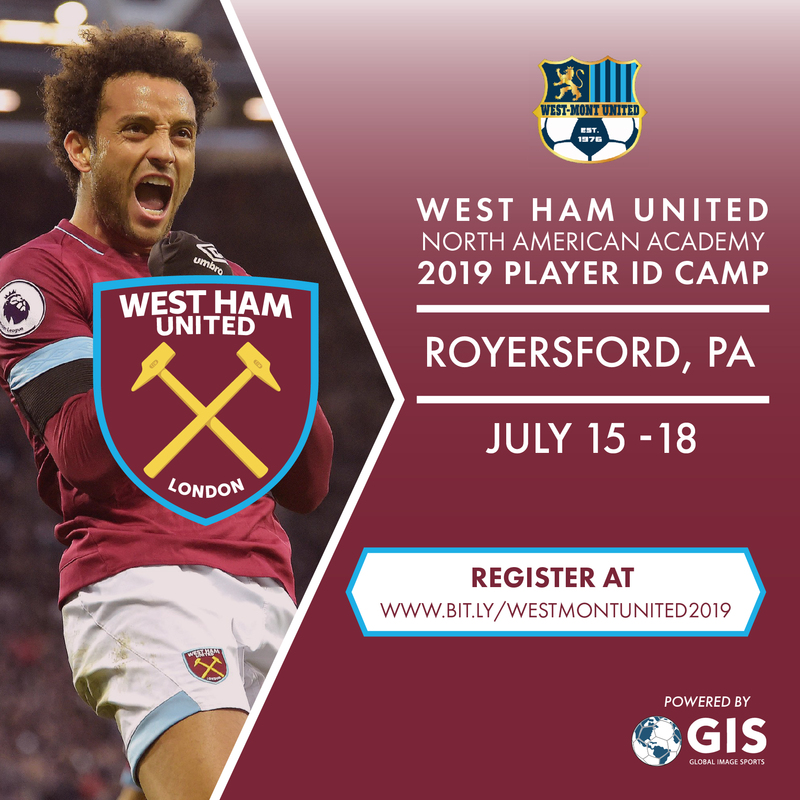 The camp will be overseen by a senior member of the West Ham United North Amerian Academy coaching staff and will consist of coaching methods and drills from the West Ham United Academy, with each player receiving a complimentary camp t-shirt. Players excelling at this camp will be invited to the 2018 West Ham United NNational Residential Camp, staffed by the Academy coaches from the West Ham United Academy in London and directed by West Ham United Ambassador Paul Heffer. Players excelling there will be invited to London for an Academy experience. For questions, or more information, please contact Dennis Squires.